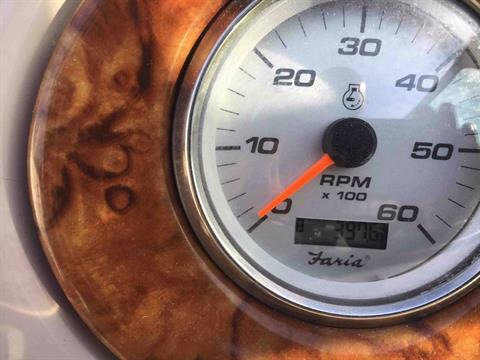 This Fiesta Vee fits your fun. 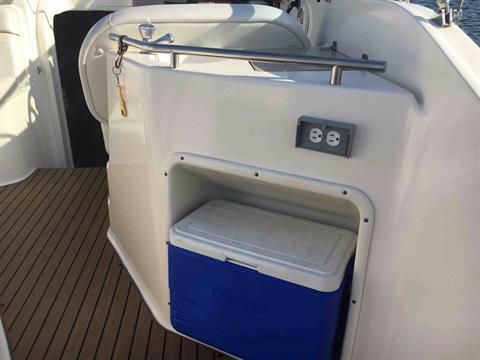 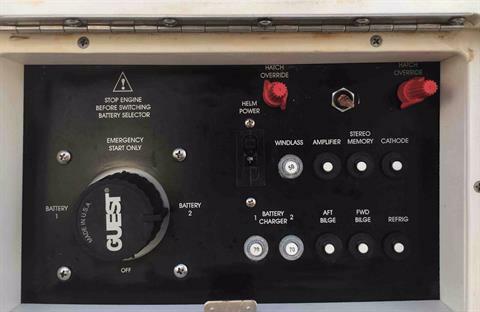 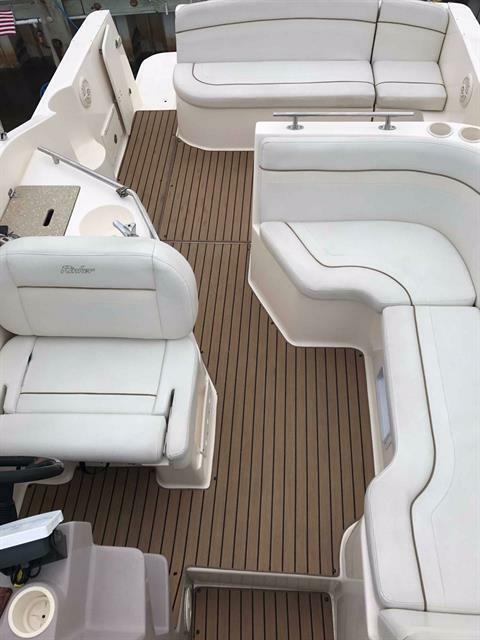 For day trips that end back at your slip, the Rinker Fiesta Vee 270 deck, galley amenities and numerous standard features add wonderful fun for family and friends. For overnight stays like camping on the water or day cruises, this package lets you do so much more than competitors? 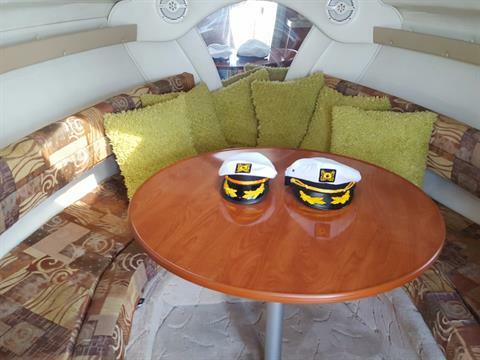 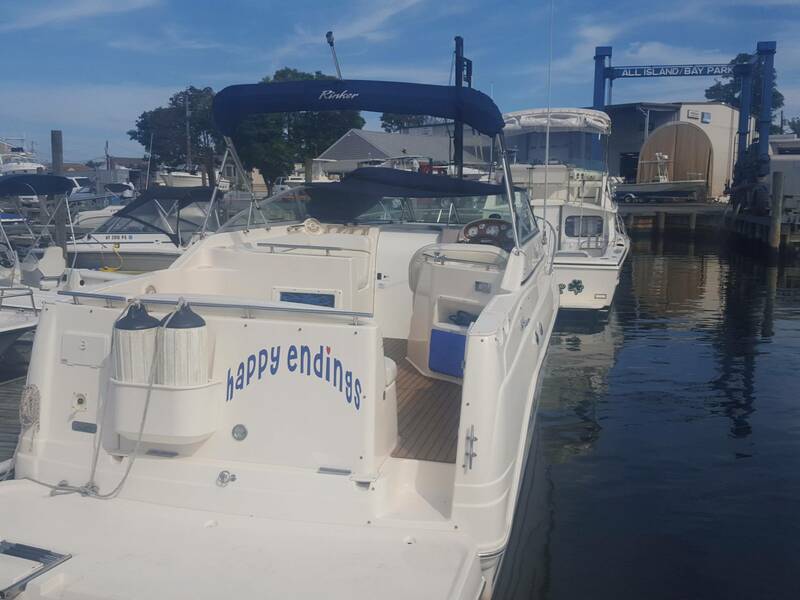 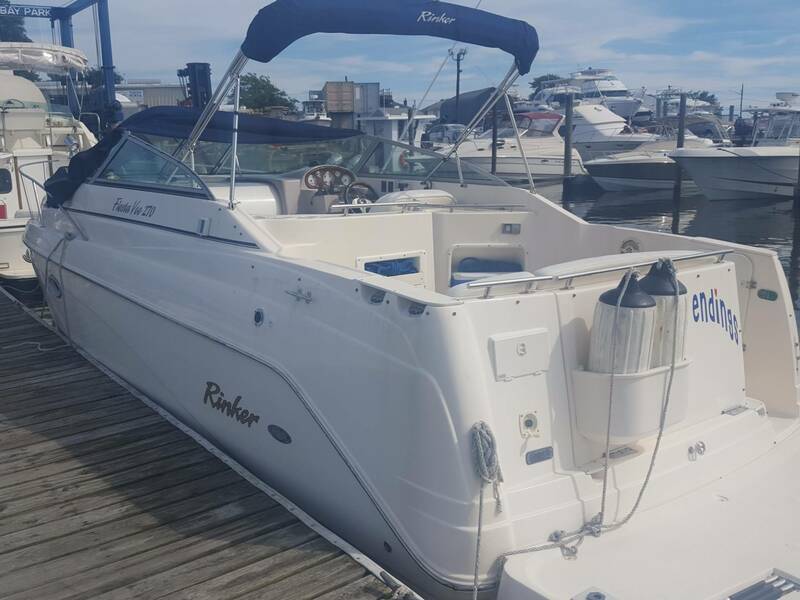 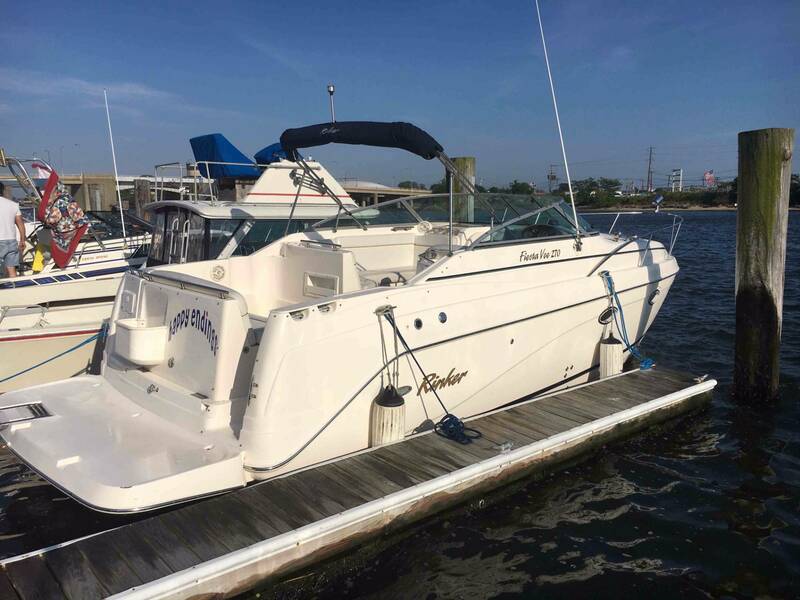 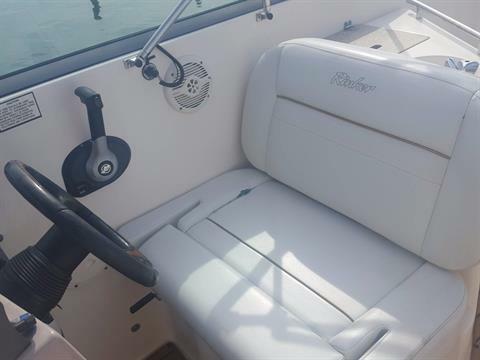 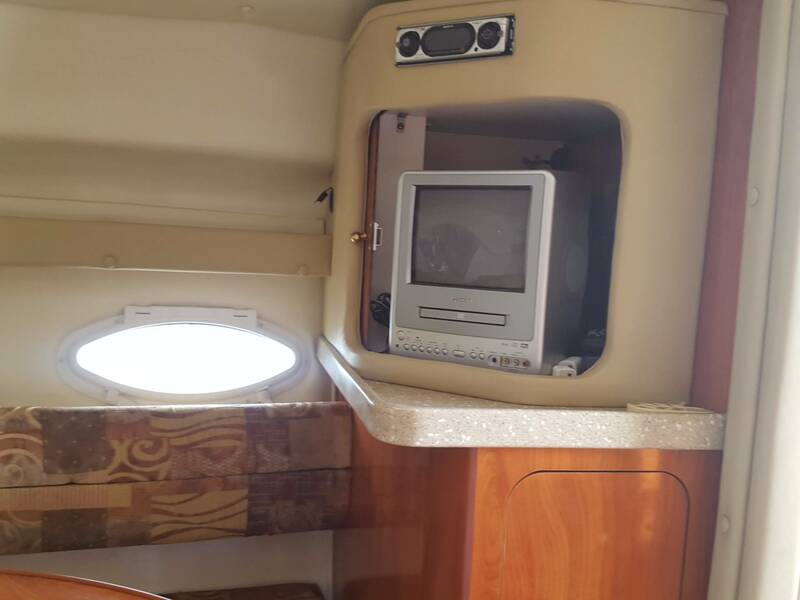 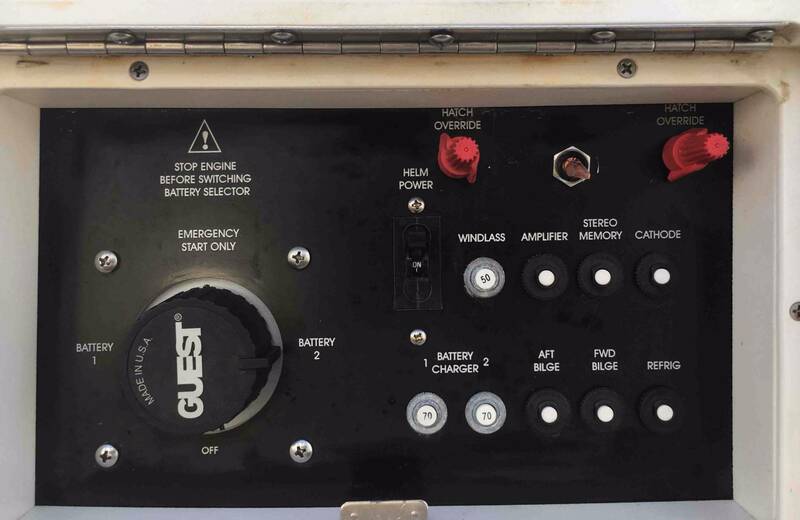 This 2005 27' Rinker Fiesta Vee has an large open cockpit for great viewing and relaxing with friends. 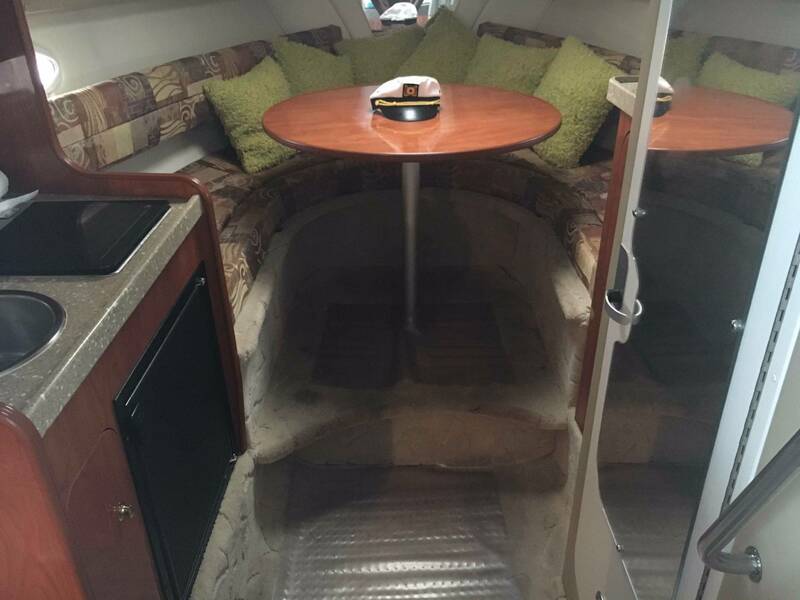 Cockpit carpet, sink, transom shower, with plenty of seating. 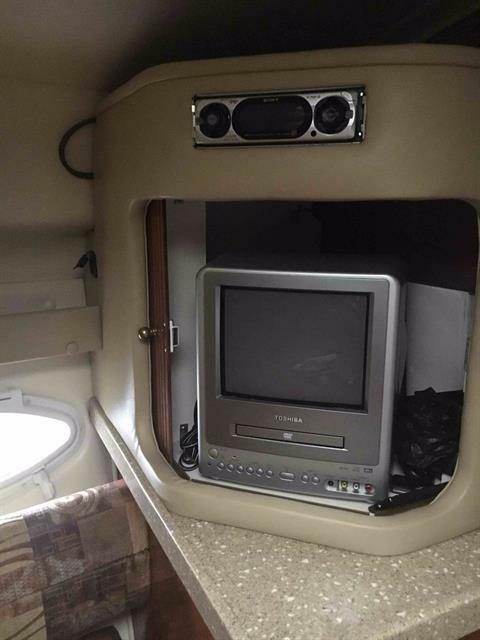 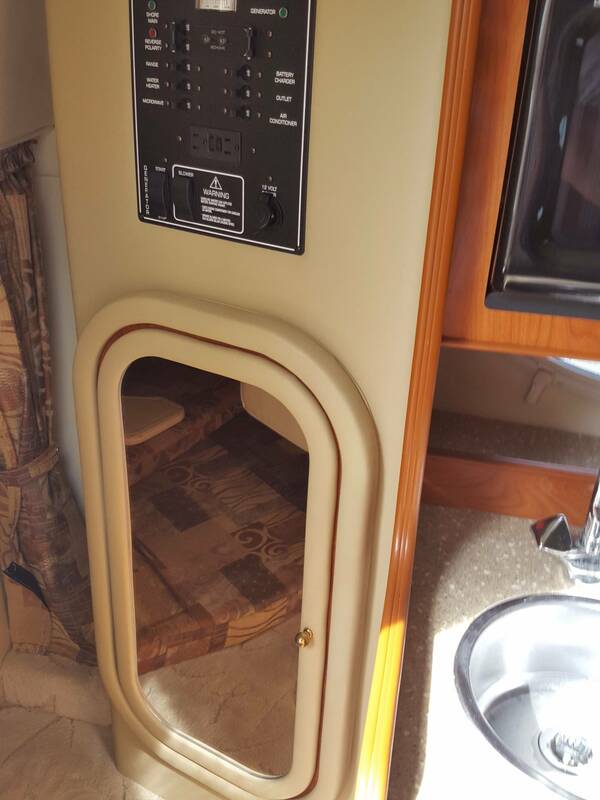 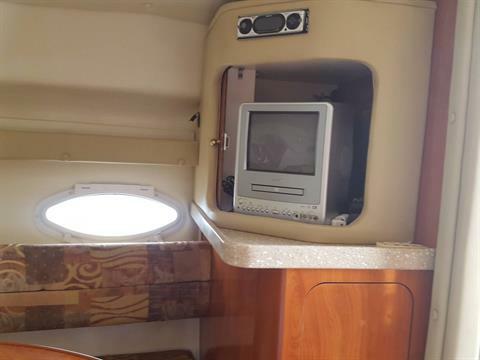 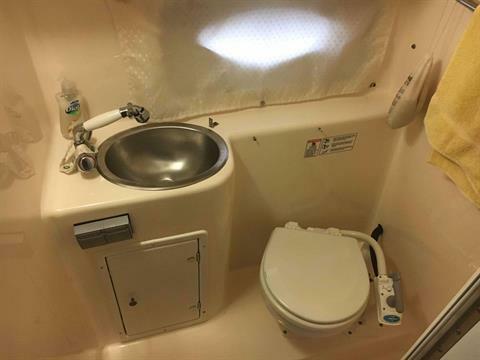 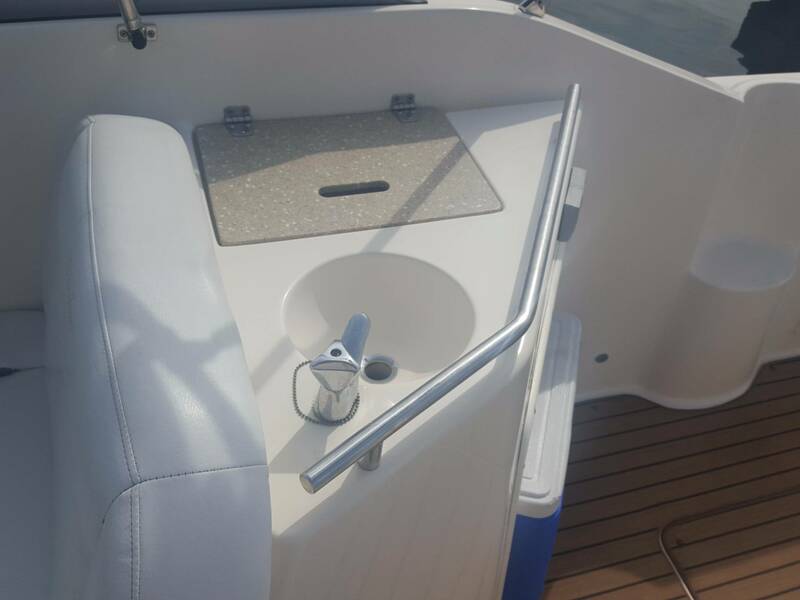 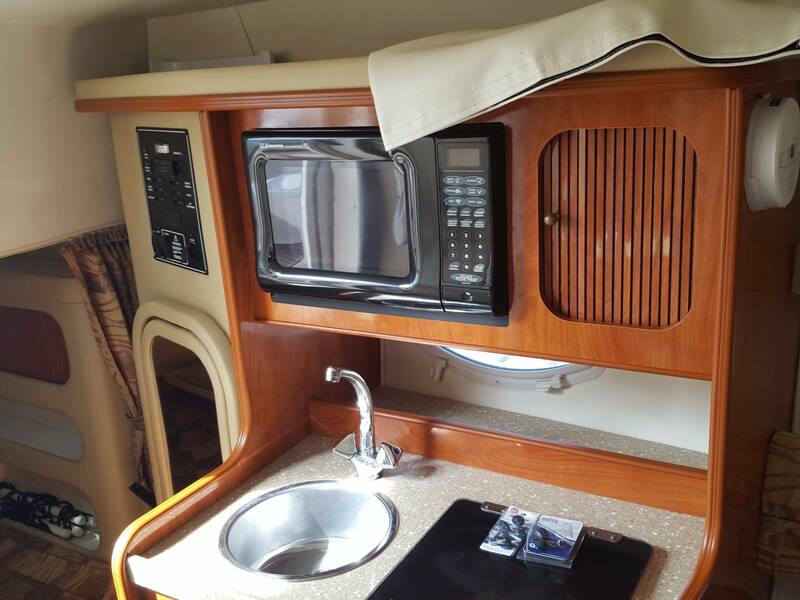 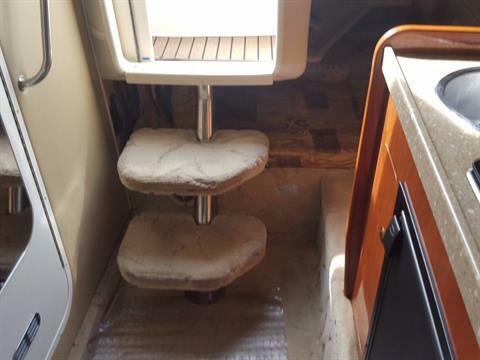 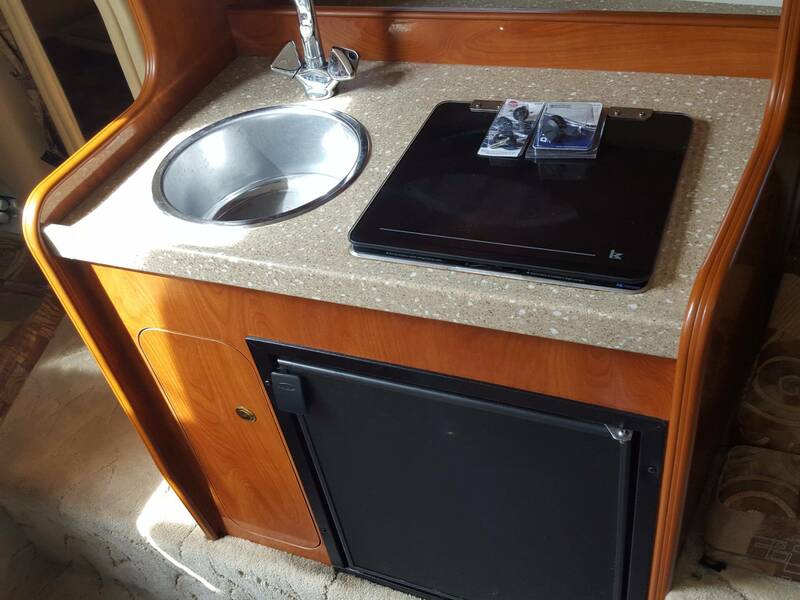 When it's time to go below, fold down dinette, enclosed head with sink, hot water, vanity, galley with refrigerator, stove, microwave oven, 110 dockside panel, TV, stereo, and A/C and a large aft cabin is like having an extra bunk bed for sleeping or storage. 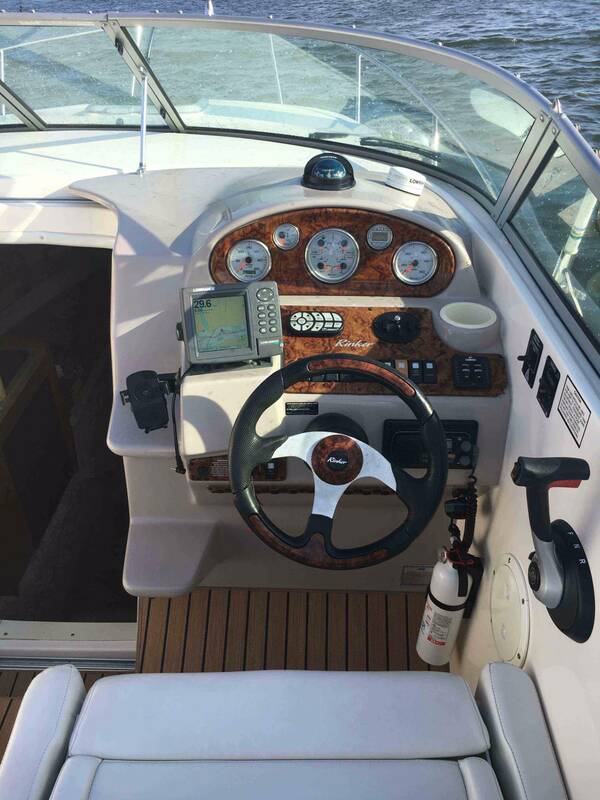 For the captain, windless anchor, trim tabs, search light, underwater LED lights, Mercruiser 350 with Bravo III stern drive. About 400 hrs. 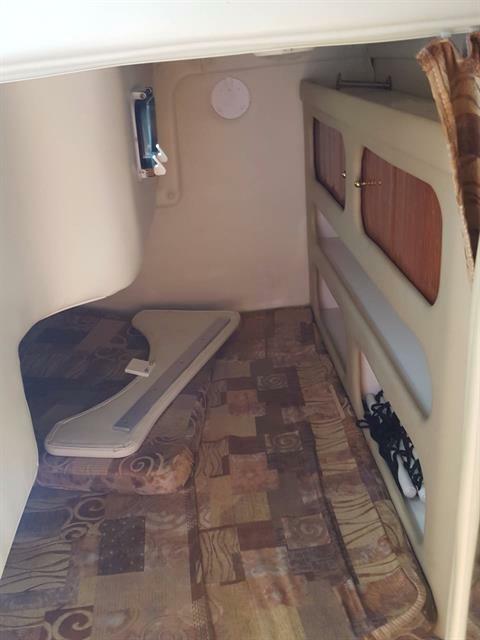 At our facility and available for viewing.